File photo of North Carolina Governor Roy Cooper sitting for an interview with WUNC in the Executive Mansion in Raleigh, N.C., Tuesday, Jan. 30, 2018. Governor Roy Cooper on Monday said expanding educational opportunities and access to health insurance are key strategies to bridge the divide between the state's rural and urban communities. 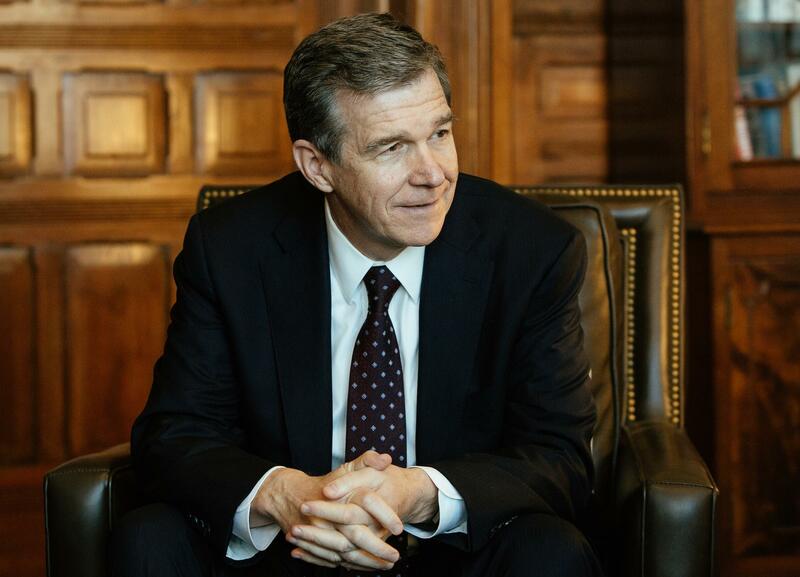 Speaking at N.C. State University’s 2019 Emerging Issues Forum, Cooper called for a public-private partnership to encourage students to become educators. Cooper proposed subsidizing community college training for high demand jobs and increasing teacher salaries to meet the national average in the next several years. He also renewed his call for state leaders to expand North Carolina's Medicaid program. “This is one that I believe we can come together [on] and find a common sense way to move forward with a North Carolina plan that is special to us,” he said. North Carolina is one of 18 states that has opted not to expand Medicaid under the Affordable Care Act. Cooper has been pushing for expansion since he took office in 2017, but the Republican-controlled General Assembly has resisted the idea, citing concerns that expanding Medicaid would eventually lead to prohibitive costs to the state down the road. At the forum in Raleigh, Cooper touted the expansion plan as a boost to the state’s economy, saying it could lower insurance premiums, add jobs, and help struggling rural hospitals. About two million North Carolina residents rely on Medicaid for health insurance. Cooper estimated another 600,000 could be eligible if the General Assembly approved expansion. Governor Roy Cooper is urging business leaders to pressure the General Assembly to make funding for education a higher priority.